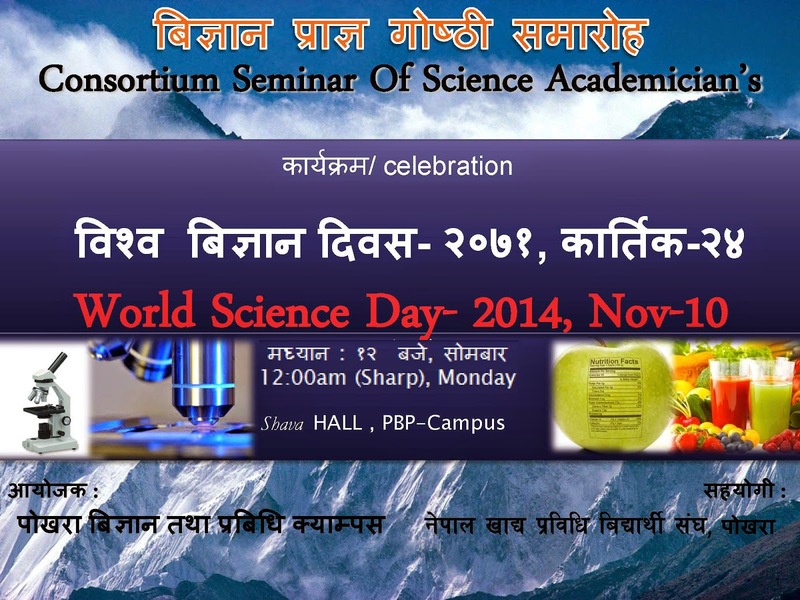 Let us join together for Science and Technology, for the infrastructure, academic autonomy & Anti-corruption in Nepal. We need to strengthen the research capability in modern Sciences. The importance of scientific innovation to overall economic prosperity is plausible.